How do I ask a question I don't see answered on this website? Please email info@stagecoachfestival.com with any questions not addressed on this website. What's the best time* to arrive? Day Parking opens at 9am on festival days. The Terrace opens around 10am. Venue gates open at 12pm (noon). Arrive early to allow for possible traffic and security search at the entrance. Please try to carpool. Busiest time with the longest wait is usually 4pm-6pm on Friday and Saturday—expect delays. Yes. Set times will be posted on our website a couple of days before the festival. Times will also be in the Stagecoach App and in the Festival Guide available at the venue. What are you doing to ensure my safety at Stagecoach? Security and safety are of the utmost importance. We work hand in hand with relevant city, state and federal law enforcement, fire and EMS agencies to help ensure the safety of our event. Because of those very same concerns, we are unable to publicly comment on any specific actions that are taken. How hot will it get during the day (and how cold will it be at night)? CLICK HERE for the Coachella Valley 10-day weather forecast. I'm a reporter/photographer. Who do I arrange a photo pass or press pass through? Please visit our Contact Page, and look under Press Inquiries. How can I get information about having a booth at Stagecoach? All food and beverage vendors are managed through Best Beverage. Please fill out our Stagecoach 2019 Food Vendor Application. Thanks for your interest in vending at Stagecoach Festival. Please fill out the 2019 Vendor Application and Information. Deadline for submission is March 1, 2019. No. Thanks for checking. If we change our mind, we will post here. Can I bring a chair or blanket inside the venue? What kind of chair is OK? 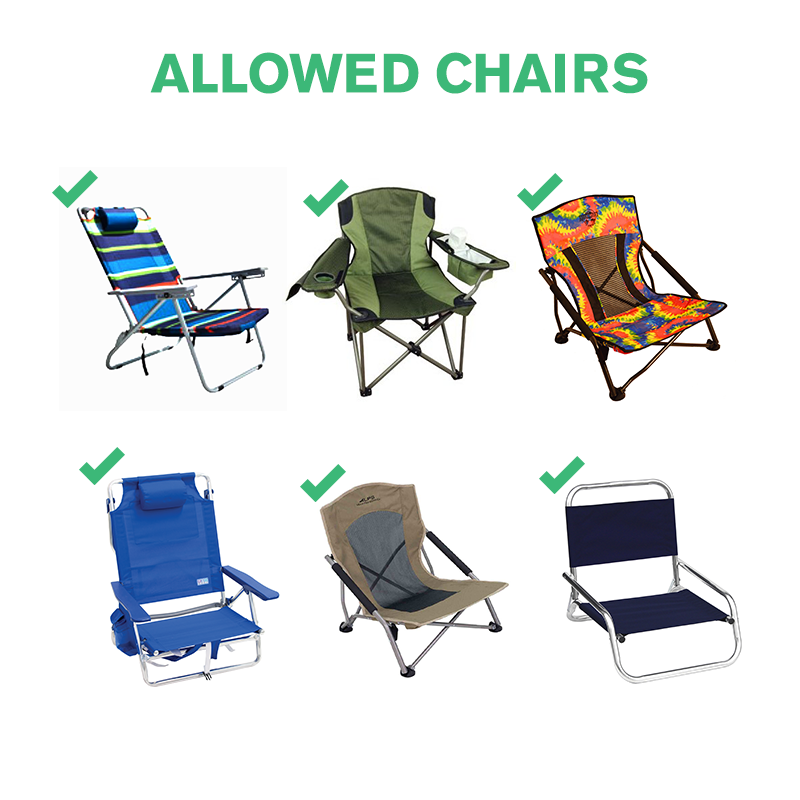 Blankets and small, LOW BACK, folding, camping or beach chairs will be permitted in designated areas. 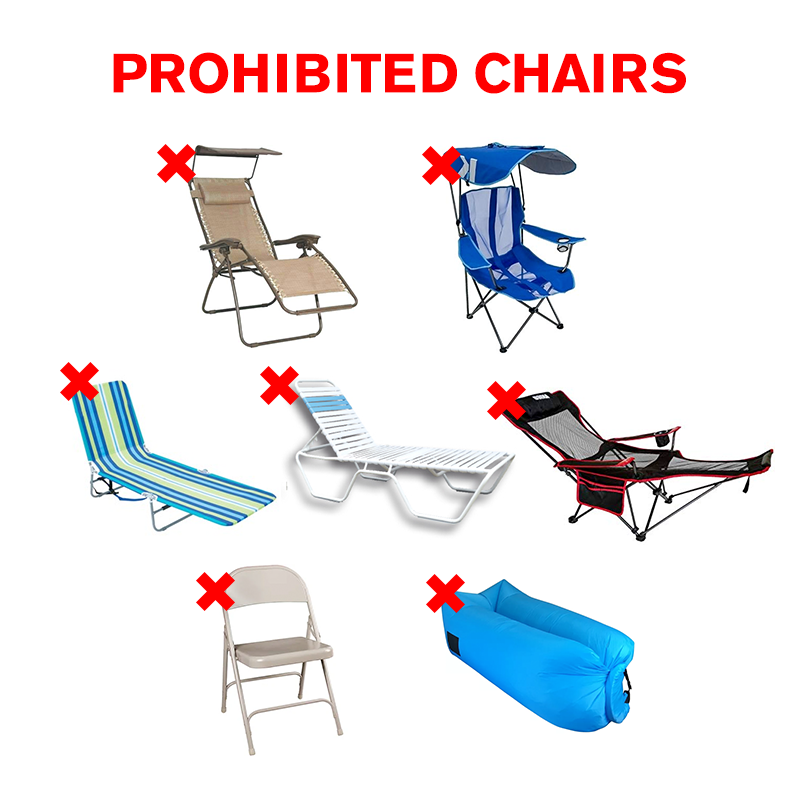 Sorry but NO poolside lounges, shaded beach camping chairs, lazy boys, banquet or folding metal chairs or inflatable chairs/lounges or couches allowed. Can I conduct a Stagecoach Festival promotion/giveaway to promote my website/product/event? No. The Stagecoach Festival trademarks, intellectual property, passes and wristbands may NOT be used for advertising, promotions, contests, sweepstakes, or any commercial purpose. The only exception is for the festival’s official sponsors (and even they need formal written authorization from the festival’s producers). There will be locker rentals available to rent at the festival. Please check back in December. Are there breast pump stations? Recently give birth? Need a place to pump and store? We got mom’s covered! B.Y.O.P. (Bring Your Own Pump) to any one of the main medical tents for a private place to pump. All locations have AC power for electric pumps as well as washing stations with soap and sanitizing wipes. Refrigeration and freezer capabilities will be available at the location near the ginormous shade structure in the lobby, or in the Resort if you’re camping on site. In 2019, we’re accepting credit cards, and we’re thrilled to have American Express as our official payment partner. Do you accept cash and debit card? All vendors accept cash and most accept credit and debit cards. ATMs are available inside the venue and in The Resort. Will there be gender neutral restrooms available? Yes, Gender Neutral restrooms will be available and may be used by any person regardless of gender identity or expression. OMG YES! We have over 300 fully flushable toilets and sinks along with hundreds more regularly cleaned porta potties. Can I bring an umbrella or parasol? Sorry, no umbrellas that block the view of other festival goers. You wouldn’t want someone with an umbrella blocking your view either, right? You can bring a small parasol as long as your courteous to other festival goers. The difference is a parasol is meant to block the sun. An umbrella is to protect from rain. How do I bring in my prescription medicine? All medical prescriptions must be in their original containers with labels that match the holder’s legal ID. How do I bring my insulin? Please identify yourself to security before entering the venue. Security will locate medical staff to assist you in providing a secure area to store your insulin. What about medically required food, supplements and other equipment and supplies? All medical items that are not available for purchase on site, including food, may be brought in. You may be asked to provide an official doctor’s note and/or prescription detailing the necessity of the item. A medium backpack should be no bigger than 18″ tall, 13″ wide and 8″ thick packed. Bags will have to fit into a box of that size (similar to the system used at airports). If your bag doesn’t fit in the box, it won’t be allowed inside the venue. Single-use mini’s (aka cig-a-likes) are OK.
Mid-sized e-cigs & vape pens are OK.
NO liquid refills will be allowed into the venue. APV’s or Mods are allowed in The Resort ONLY (not in venue). If you are not clear on what kind you have, it’s not allowed. I need a place to stay! What can I do? Don’t give up. Our friends at Valley Music Travel provide official Travel Packages for Stagecoach, bundling Festival Passes with hotel accommodations and roundtrip shuttle transportation. Or, browse hotel rooms only via Curadora. What's included in a Travel Package? Travel Packages bundle festival admission with hotel accommodations for two or four guests, plus roundtrip shuttle transportation between your hotel and the festival grounds. Visit Valley Music Travel for full details and to book an official Stagecoach Travel Package. I locked my keys in my car! My car won't start! Will there be a tow truck or AAA on site? There will be a tow truck and AAA standing by. If you are taking public transit, the nearest bus stop is in downtown Indio, about 3 miles from the venue. However, Valley Music Travel sells our Any Line Shuttle Passes to bring you on site all weekend. CLICK HERE for info. The closest gas stations are both located on Hwy 111 at Monroe St. and Jefferson St. (approximately 3.6 miles away). Where is a friend & parent pick up/drop off point? The friend & family pick up/drop off point is located near Avenue 52 and Madison St. Please refer to festival maps released before the event for exact location. Motorcycle parking is located in the same lot as ADA. Do not park in such a way that takes up an entire space for a single motorcycle. Can we ride bicycles to the festival? Where do we lock them? Is there somewhere to rent a bicycle nearby? Yes. We recommend that you try here. Where do I request my Uber ride? How do I check on my order? / How do I contact the ticketing company? Check on your order here. I didn't get an order confirmation, help! What is the Fan-To-Fan Exchange? The Fan-To-Fan Exchange, powered by Lyte, is a place where you can return or request passes once a certain pass type sells out. Check out the Fan-To-Fan Exchange page for more details. Why are the prices sometimes higher than face value on the Fan-To-Fan Exchange? There are far more people trying to buy passes than there are passes available. When that is the case we have to payout over face value to people returning their passes. Prices through Lyte’s Fan-To-Fan Exchange are always better than prices on unofficial resale sites and all tickets sold through the Exchange are 100% guaranteed. When will I know if I have passes on the Fan-To-Fan Exchange? Wait time depends on availability but you can monitor your place in line to see how close you are to getting passes. Hang in there! Lyte has been able to fill up to 98% of requests for other big events. Ticket returns pick up the most in the last month. That’s when the line really starts moving. Why can’t I return my pass before the pass type I’m trying to return is sold out? If there is no waitlist for tickets there are no other fans with whom to exchange. For now you can sign up and we will notify you once your pass type has sold out. How does the Exchange issue passes? When your request is filled, you get a new pass delivered to you by our primary ticket issuer. Depending on when you purchase, it will either be mailed to you directly or you can pick it up at the festival will call. All tickets purchased from the Exchange are newly issued and backed by us so you don’t have to worry about any issues at the gate. You can choose your pass type. Lyte takes care of assigning your seat. Lyte is looking to get the most amount of fans into the event at a fair price and the best way to do that is for them to assign seats. However, if you have special circumstances or need ADA seating, contact support@uselyte.com and they will assist. I have a question/issue with the Fan-To-Fan Exchange that is not answered here. Lyte’s customer support is standing by for you. Email them at support@uselyte.com and they will get right back to you. If I sell back my RV pass through the Fan to Fan Exchange can I still renew my spot for 2020? Yes, by selling back through the Fan to Fan Exchange you will still be eligible to renew your spot for 2020. If I buy an RV pass through the Fan to Fan Exchange am I guaranteed a spot for 2020? You are not guaranteed a spot, however you will be eligible for an RV presale in future years for a chance to join The Resort renewal program (based on availability). The lockers you are reserving on this website are located inside the venue. We will post a 2019 map to show you the exact location of your locker as soon as one is available. What do I need to bring to the festival to receive my locker key? Please print your Paypal receipt. You will see it on your screen when you order the locker, and Paypal will email a copy to you. Please bring a paper copy of the PayPal Receipt printout with you to the festival. If you have trouble printing it, please contact lockerguy@outlook.com. What happens if I forget my Paypal receipt? Please print and bring a hard copy of your receipt to avoid complications. Now is the time to repeat the Locker Lou Mantra: "I will print and bring my PayPal receipt... I will print and bring my PayPal receipt... I will print and bring my PayPal receipt..."
Are you going to mail a locker key to me? No! Please bring your PayPal receipt to the event, and we will exchange it for your locker key or padlock at our check-in tent, which is inside the venue. Do you guarantee to hold my locker reservation? Yes. We will hold your locker reservation throughout the entire festival until you claim it. Will you explain the key/padlock deposit one more time? Let's use the Medium Locker as an example. PayPal charges $55.01. You bring the PayPal receipt to locker check-in. You receive a locker key and keep the key for 3 days. When you return the key to us you immediately receive $10 cash back. Your net total cost for the Medium Locker for three days is $45.01. You’ll leave the festival with $10 in your pocket - gas money for the drive home. We all hate lines. Please help us be efficient. Please print your Paypal receipt and hand it to one of us at the check-in tent. When it’s time to go home all key deposit refunds are issued quickly. Just give the locker key to one of us and we’ll hand you a $10 bill. No forms, no IDs, no complications. It took more time to read this answer than it will to exchange your locker key for $10. Sometimes there’s a line, but it moves fast and it won’t take long to get your money. Where is the locker check-in tent? Signs will show you the way to our tent and our location will be in the festival guide. Event staff can point you in the right direction, and we’ll post a map you can download - as soon as one is available. If you’re lost just call: (800) 827-1692 and we’ll direct you to the lockers. Will I be able to use the locker any time I want? You must have a ticket to the event to access the lockers. Our current arrangement with the festival allows you to access the lockers as many times as you wish while you are inside the festival. When the event is over each night, the grounds are closed, and you will not be able to access the lockers until the following day. Please review the Lockers page for the locker dimensions. Can I pay for the lockers at the event? Maybe. There is a limited supply of lockers - and all of them are available online right now. Every locker will probably be reserved online before the festival begins. No one knows for sure. If the lockers sell out online, as they have for the past 8 years, there won't be any lockers available to rent at the festival - unless someone cancels at the last minute. If you reserve your locker now, we guarantee to hold your reservation for the entire event. If I can't make it to the festival or don't need my locker reservation, can I get a refund? Yes! Please reach out to me by email or in person at the event as soon as your plans change. No refund will be issued after the festival is over. If you lose the key, you will forfeit the $10 deposit. You will receive a new key and will need to pay another refundable $10 deposit. Once you return the new key, you will receive the second deposit back. If you find your "lost" key, you’ll receive your original deposit back too. Can I still change my clothes in your locker tent? Yes, in fact we’ll try to add another tent in 2019. Can I get more than one key for my locker? Only one key is issued for each Medium and Large Locker. However, all Extra-Large Lockers will be equipped with combination locks. Do I bring my own padlock? No! You cannot use your own lock. You must use the lock provided by the Locker Company. There is no additional charge for the use of our lock, which remains the property of the Locker Company. A $10.00 refundable lock deposit is collected when you reserve the Extra-Large Keyless Combination Locker online. Here’s how it the deposit works: PayPal charges you for the Extra-Large Keyless Combination Locker. You bring the PayPal receipt to locker check-in. You receive a padlock and keep it for 3 days. When you return the lock to us you immediately receive $10 cash back. If someone had a locker at a previous festival, will the same combination open my locker this weekend? No. That's like asking if the last winning PowerBall numbers are a good play today. If you're looking for a quick score, forget the lockers - play PowerBall. Key/lock deposit has been reduced to $10. Previous years, it was $20. When you return the key/lock to us you immediately receive $10 cash back.